CAAFI® is feedstock and conversion process neutral. Our goal is to benchmark the current maturity of a variety of feedstocks, including dedicated energy crops, wastes, and residues, to ensure that a multitude of feedstocks are commercially available for sustainable alternative jet fuel (SAJF) production. CAAFI also works with supply chain stakeholders to identify opportunities for securing cost effective feedstocks for the near-term production of SAJF. Feedstocks are the building blocks, or necessary carbon sources, for AJF production. To produce AJF, fuel producers convert these carbon sources from nature or waste streams (feedstocks) into hydrocarbons suitable for jet fuel. Currently, inedible tallow is the primary feedstock used by the only commercial AJF production facility in the United States, AltAir Fuels, but dedicated oilseed crops and other feedstocks such as forest residuals are anticipated to be in use soon. Near-term commercial scale feedstocks are likely to be sourced from existing wastes and residues, as these feedstocks are often low-cost and readily available. Novel purpose-grown crops, or energy crops, including oilseeds, perennial grasses, and starchy or sugary crops, will take longer to deploy at large scales, particularly given the desire to avoid existing food crops. However, a great deal of work is underway to develop viable non-food crops—particularly cover crops—that can be worked into existing rotations and fallow periods to add to farmer revenue without replacing current production of food, feed, and fiber. Below are the feedstock categories that could be used in AJF production. See all feedstocks currently being considered by CAAFI. We welcome input to this list. CAAFI evaluates feedstock maturity using a series of checklists in its Feedstock Readiness Level (FSRL) Tool, allowing producers to assess feedstocks for market readiness based on the status of their production, market, program support and regulatory compliance, and linkage to an approved conversion process. Allow parties interested in developing alternative fuel facilities to understand what feedstocks may be available in the near term in a particular region. View a list of ASTM qualified AJF pathways and their associated feedstocks on the Fuel Qualification page. The U.S. Environmental Protection Agency (EPA) now allows SAJF produced using specified pathways to earn Renewable Identification Numbers (RINS) under the Renewable Fuel Standard (RFS2). RINs are credits generated by renewable fuel producers that obligated parties (e.g., petroleum refiners and importers) must obtain for compliance with RFS2, either through the purchase of renewable fuel or purchase of the separated RIN. SAJF pathways that qualify can be found on the EPA’s RFS2 Approved Pathways for Renewable Fuel page in the Generally Applicable Pathways table under “Jet Fuel.” Additional SAJF pathways may be petitioned for addition to this list through EPA. SAJF recognition under RFS2 is beneficial to the SAJF industry in that it further incentivizes obligated parties to purchase SAJF for blending with conventional jet fuel to meet compliance requirements. Additional feedstock production creates jobs in rural areas where economic opportunities may be limited. This is because demand for additional energy crop production as well as its transport stimulates the rural economy as additional revenue is generated for local businesses. Additional feedstock production also improves U.S. energy security, as jobs created in rural America for feedstock production are difficult to outsource. Researchers in the FAA-funded ASCENT Center of Excellence are working to quantify the full economic benefits of SAJF-related feedstock production (updates to follow when available). However, revenues from the bioeconomy are estimated to reach up to $250 billion annually in the near future, according to this U.S. Department of Energy report. Additionally, while there have been concerns raised about feedstock production conflicting with food, feed, and fiber production, more recent work suggests there can be synergies between food production and bioenergy crop production. This is in part due to potential added revenue streams for farmers and increased diversity of farm products, but also because valuable feedstock crops can enable investment in technology and infrastructure for food production. As will be seen below, in some cases SAJF feedstock production can enhance traditional crop production. In addition, biofuel production can provide a revenue cushion to farmers when they experience unexpectedly low food crop yields, and on the other side, can absorb any excess food crops (http://www.raeng.org.uk/publications/reports/biofuels). CAAFI is working to develop a clear profitability path for feedstock producers to reduce their risk burden and mitigate the current challenges. Goal 1: Increase crop yields (tons/acre), water and nutrient use efficiency, as well as pest and disease resistance, and improve feedstock conversion characteristics. Goal 2: Develop sustainable feedstock production systems that require minimal inputs, have a high tolerance for environmental stress, and minimize the risk of adverse environmental impacts (e.g., invasiveness, erosion). Goal 3: Improve harvesting, collection, storage, densification, pretreatment, and transportation of physical biomass to the conversion facility. Goal 4: Improve collection, storage, densification, pretreatment, and transportation of municipal solid waste to the conversion facility. CAAFI’s focus areas with regard to feedstock development and opportunities are described below. CAAFI is working to identify new opportunities and co-benefits for farms and feedstock producers, and further support supply chain development overall. Here are some of the ways CAAFI is working with stakeholders to buffer risk, improve farmer comfort level, and facilitate commercial scale production of various SAJF feedstocks. To mitigate risks to farmers currently producing or considering producing energy feedstocks, the U.S. Department of Agriculture (USDA) established a dedicated energy crop insurance program. Currently, the program offers dedicated energy crop insurance for the production of camelina (among other feedstocks), which can be used for the production of SAJF. 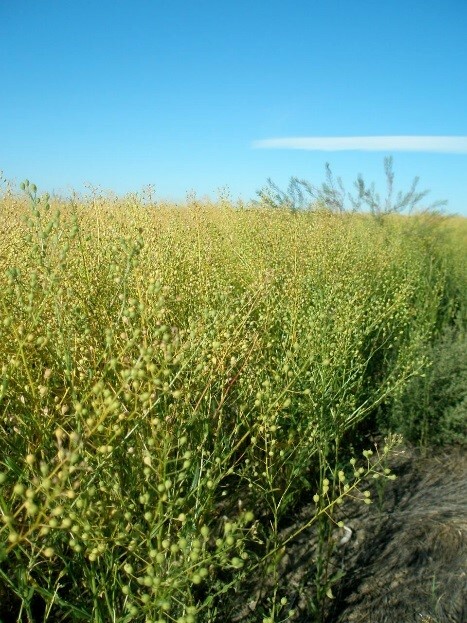 Insurance for camelina is currently geographically restricted to Montana and North Dakota. For more information on the program, visit the Federal Crop Insurance Program website. Agriculturally-suitable land is highly valued and must be used efficiently. As such, CAAFI is working to convene parties and identify approaches to enhance the ways plant-based feedstocks are produced with the overall goal of increasing yields and reducing environmental impacts. Some options to increase the efficiency of land-use and feedstock production include multi-cropping/polyculture (growing multiple crops on the same land in the same season), cover-cropping (growing an additional, beneficial crop during traditionally fallow periods in crop rotation), and using diverse feedstocks on the landscape or regional level. Figure 3. 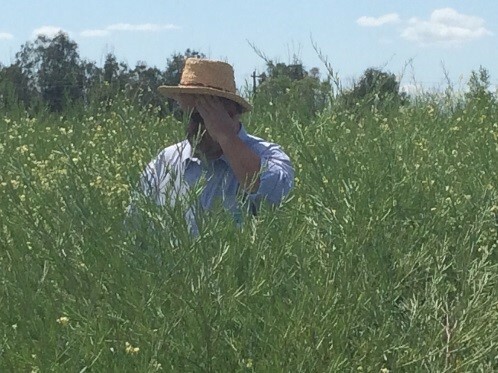 CAAFI Executive Director Steve Csonka in a field of carinata. Cover crops such as pennycress, carinata, and others have been shown to break pest and pathogen cycles in traditional cropping systems. Research and farmer experience indicates that in addition to providing a new revenue source for the farmer, these cover crops can actually enhance the yield of traditional crops such as wheat that are grown alternately with the cover crop (Angus et al. 2011). Furthermore, because cover crops don’t interfere with traditional food crop production and provide additional production of crops on existing land, they are anticipated to have no effect on local food availability or prices and low or no induced land-use change, an important factor in the life cycle emissions calculation. CAAFI is very interested in these feedstocks to meet the aviation sector’s needs for sustainable feedstocks that do not induce food-fuel related concerns. CAAFI is also working to identify regionally appropriate feedstocks to optimize SAJF feedstock production and improve crop yields. While fuel producers in the aviation industry have expressed a strong desire for more lipid-based feedstock availability, CAAFI seeks to understand how the planned and active SAJF supply chains can complement each other to promote commercial scale lipid production rather than compete for highly desirable feedstocks. To support the lipid-based SAJF potential of the industry, CAAFI is working with ASCENT researchers to understand the current lipid availability and potential competition for feedstocks among lipid-based fuel producers with planned commercialization efforts. Waste and industrial fats, oils, and greases (FOGs) as well as municipal solid waste (MSW) feedstocks are desirable in that they utilize existing, low- or no-cost wastes to produce SAJF and require no land use change. However, waste-based feedstocks also present some obstacles. Read more about each category of waste-based feedstock below. MSW offers many benefits for AJF production, including the emissions benefits achieved by removing lignocellulosic waste from landfills that would otherwise release methane when decomposing. Waste-based fuel producers can even earn credits for keeping waste out of the landfill. 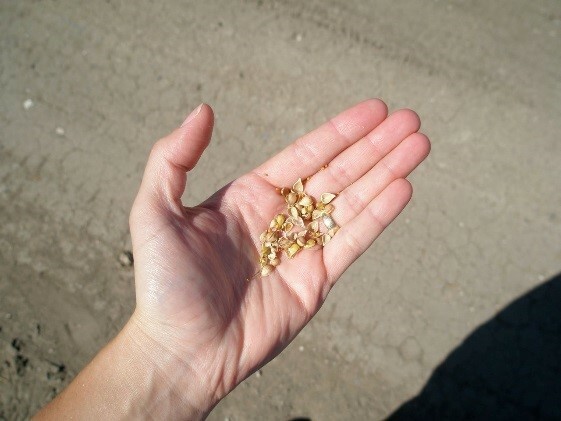 Read more about CAAFI’s work with MSW feedstocks on the CAAFI State Initiatives page. Processing of the separated out lignocellulosic components from the larger MSW batch. While wholesale gasification is a simpler process, it also releases carbon that would otherwise be sequestered in plastics and other long-lived materials, reducing the life-cycle emissions benefits of the fuel. Processing of separated lignocellulosic materials may have a better life cycle GHG footprint but this depends on the energy intensity and logistical challenges as well as the potential recycling revenues associates with separation. Another way to enhance farmer revenue is to use brewer’s waste (or spent grain) and dairy waste as a feedstock for algae-based SAJF production. This offers the added environmental benefit of reducing the volume of nutrients that would otherwise be released as effluent into the watershed. Additionally, by processing dairy waste, farms can better manage their waste volumes. Adding to this integrated system are anaerobic digesters, which can be used to generate methane to fuel the conversion of algal lipids to SAJF or for other farm processes. CAAFI is currently working with partners in Vermont to advance this feedstock option. View the Vermont state-based initiative news announcement, the CAAFI state-level deployment projects page, and the webinar for more information on this system. CAAFI is extremely interested in projects that offer environmental synergies and economic opportunities. Here a few ways we’re working to support these synergies. Nutrient runoff from agricultural lands causes algal blooms and zones of eutrophication in nearby waterbodies. Some states have implemented progressive programs to encourage farmers to reduce nutrient runoff and improve water quality in the region. CAAFI is working with partners to leverage existing environmental payment programs for bioenergy purposes. For example, CAAFI is partnering with Pennsylvania State University to formulate a broad approach to address nutrient loading of the Chesapeake watershed while simultaneously developing a range of feedstocks (perennials, cover crops) that could be utilized for fuel production. This is a mutually beneficial arrangement in that farms prevent nutrient loading of nearby water sources by reducing runoff, while also receiving revenue for new crop production. Cover crops also offer soil benefits and can be grown on land that would otherwise be fallow during certain seasons, offering revenue to farmers during the off season while reducing runoff, soil erosion, and nutrient leaching. For example, some crops have deep root systems that work to improve soil quality by drawing nutrients up to higher soil levels. Cover crops break pest and pathogen cycles. CAAFI is involved in numerous state initiatives to develop feedstock production for SAJF with environmental synergies. Interested in learning more about CAAFI’s work to improve the sustainability of SAJF feedstock production? CAAFI has an entire team working on sustainability. View more information on feedstock R&D needs. For more information on CAAFI Activities, see our News page.